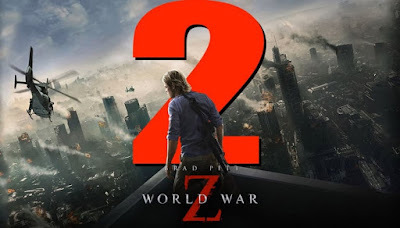 News is breaking that Paramount Pictures has officially pulled the plug on the long gestating sequel to 2013's World War Z. With no real reason given, the studio has decided that the movie is no longer happening. Officially pulled from their release roster, many are wondering exactly what happened. With David Fincher on board as director, Brad Pitt was set to return in the next movie about the worldwide zombie takeover. Now, it's just not happening. Some wonder if there just wasn't enough interest in the project at this point. They had lost much of the momentum from the original and 6-7 years is a long time between movies. The budget had also been set at $190 million which was less than the first movie. Perhaps, there was just a lack of interest in a part two. Either way, no matter what happened, Paramount has basically killed the potential World War Z franchise with one swift blow. Some are speculating that the upcoming Mission Impossible sequels may have cut into the budget set aside for Fincher's project.